Sweet Sewn Stitches: Remodelaholic Feature!! I am a guest today on Remodelaholic! Come see a fabulous remodel featured on an amazing blog! Remodelaholic showcases fabulous ideas and tutorials for remodeling, refinishing, recycling...you get the idea. 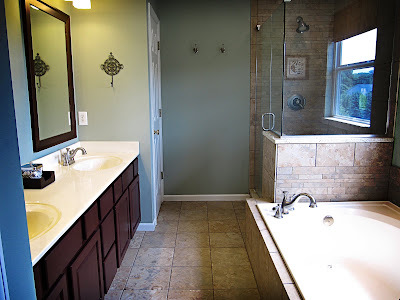 I am truly honored to have the opportunity to share our Master Bath Remodel. Thank you Cassity and Remodelaholic! Make sure you enter my NEW giveaway HERE! That bathroom is definitely a place I would love to be if it were in my house! ! Enjoy!